Whether their husbands are in office for two years or ten, each Prime Ministerial wife has to reinvent herself when their time as ‘national hostess’ concludes. Some continue for a while as political wives. Others return to private life. In a few cases they continue in a supporting role as their husbands take up positions on the international stage. Most of these committed and influential women continue to support charities, many of which they had helped to establish. Once the Lodge is handed over to the next incumbent, there is time to return to private passions and realise dreams put on hold. Gardens are revitalised, business opportunities accepted, travel undertaken, books written and studios established. 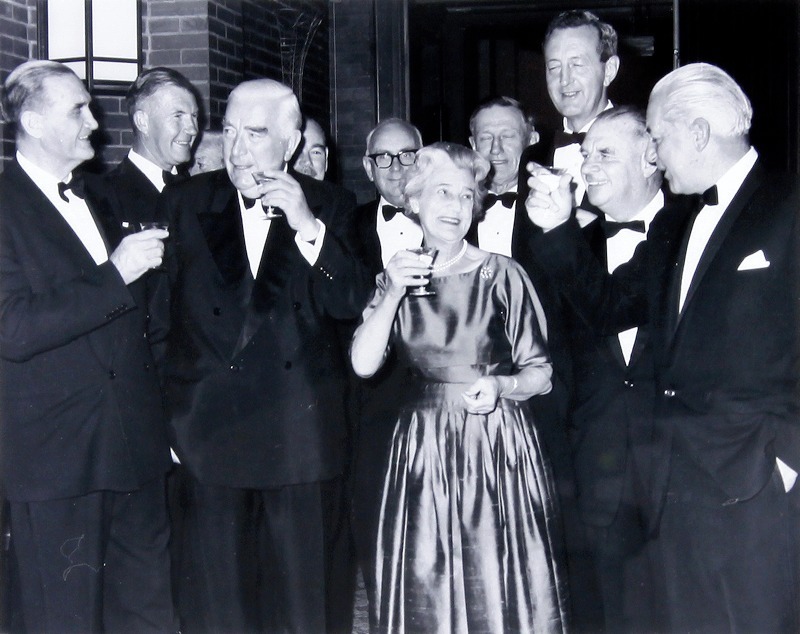 Hazel Hawke’s interest in heritage was deepened through her work on the Australiana Fund (established by her predecessor) and a project to restore the interior of the Lodge. She was made Chair of the NSW Heritage Council in 1997. 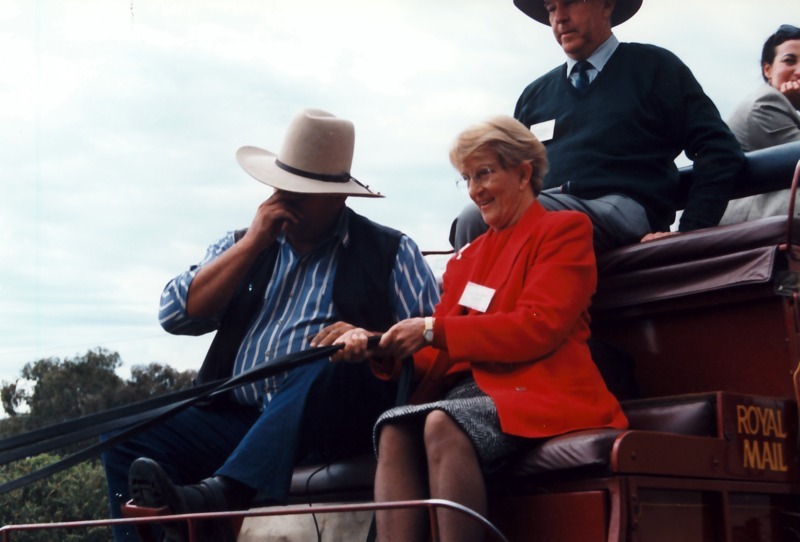 She is pictured here during a Council visit to Tenterfield in 1998 experienced a Cobb & Co. coach with driver Paul Petrie. If heritage is the evidence of the past, then that past is the history of all of us who now share this land. Hazel Hawke, Heritage Council of NSW Newsletter, 2001. 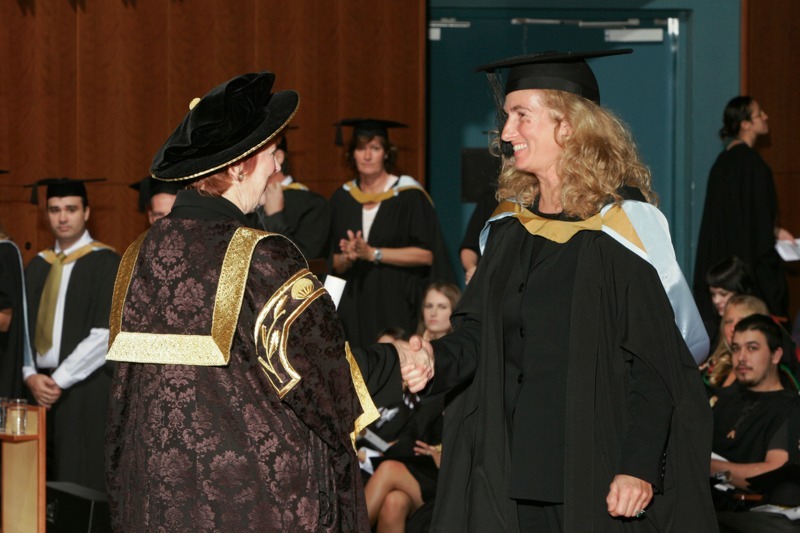 In 2006 Annita Keating was awarded a Masters Degree in Arts from the University of NSW, and is seen here receiving her degree from Pro-Chancellor, The Honourable Susan Ryan, AO. Memento Photography, Glebe.